Welcome to Five Minute Friday, the online writing community that encourages and equips Christian writers. We gather week after week to free write on a one-word prompt, and we’d love for you to join us! If you’re not already on our mailing list, sign up here to get the prompts in your inbox every week. 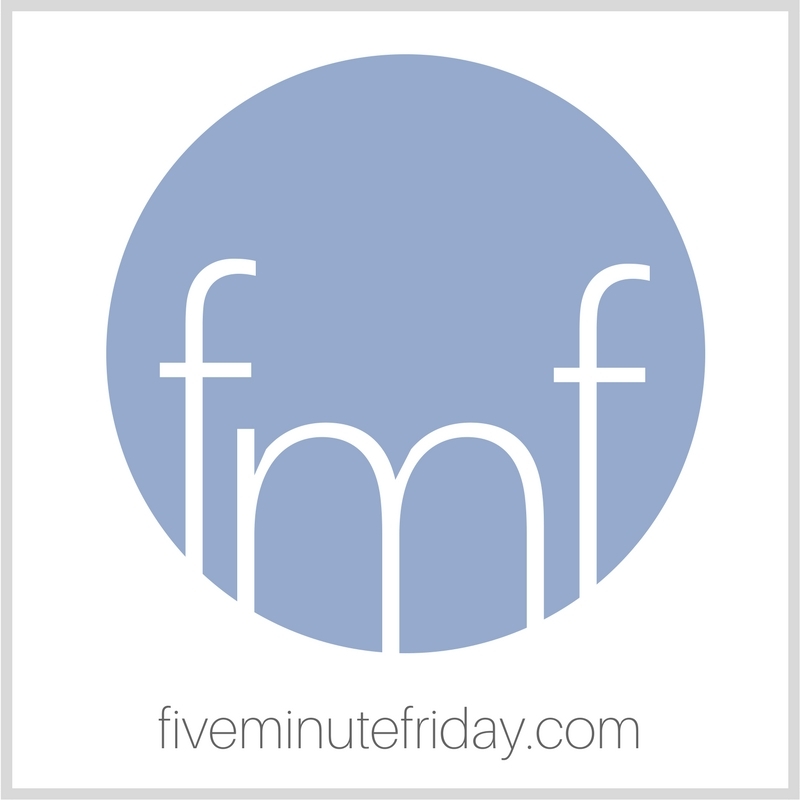 If you’re new to Five Minute Friday, learn more about the link-up here. Looking for a writing prompt? Join @5minutefriday as we write for five minutes on the prompt, OCEAN. Every time I stand at the edge of the ocean, I’m overcome by its vastness and sheer power. I’m utterly aware of how tiny and powerless I am in comparison to such an incomprehensible force. And yet even the ocean takes commands from Someone. Even the ocean obeys the One who made it. He says, “Be still!” and it is so. How amazing is it to realize that the ocean’s borders were not accidental or haphazard? It does nothing but make me stand in awe of the One who crafted, formed, and filled it. While flying across the Atlantic just over a week ago, I was again made aware of my smallness. There’s something humbling about sitting as a speck in an aircraft that’s soaring 35,000 feet in the air and the only thing below you is a whole lot of space, then the depths of the sea. And yet even in my smallness, even in my insignificance — He knows me. He cares for me. See pictures from our South Africa trip on Facebook and Instagram. Join the @5minutefriday #writing community as we write on the prompt, OCEAN. What comes to mind when you think of the word, OCEAN? Write your own five minute free write, then share it below — and don’t forget to visit your link-up neighbor to leave an encouraging comment! Fixed now! Sorry about that . . . I live in South Florida near the coast and at any given moment I can drive 15 minutes and sit by the ocean. There is peace there most of the time. It is like life really. When I need tranquility, I can watch the conditions of the water. But like life, it can change quickly. High tide, low tide, calm without a break in the water, or extremely rough with waves – there can be shells on the beach or nothing – jellyfish in the water or seaweed to obstruct your view. During a hurricane there is no way to be even near the ocean. And sometimes during the trying times of life, you can see a glimmer of hope in the water – a dolphin jumping? Is it a dolphin fin you see, and yet another and another. We wait for the waves, the rain, the jellyfish to move on and then we sit, smile and enjoy what we see. Because if not now, when? It was SOOOO late when I read last night, I didn’t process… This was really touching. I LOVE the line about standing in awe of our creator. I stand in awe of how a a big, big God could love little ole me. When I survey his creation, I am overwhelmed with his love. Thanks for the week’s prompt. I wrote though I cannot link up. The link is missing. I pray your trip is going wonderfully. I really tried to leave a comment on the Domestic Mobility blog, but it just kept dumping me out to the Google log in. If you’re reading this, author, I loved the post! The San Francisco Bay Area is where I grew up, so it’s very special to me. Thanks for writing about it! I am amazed at the beauty of the ocean as well as the intricate detail of the creatures that inhabit it. They cry out praises to God in their own way. Oh, wow! I just realized we both used the same verse from Job. Enjoy and be blessed.